Getschko, a key player on the team that established the first Internet connection to Brazil, has been a member of the Brazilian Internet Steering Committee (CGI.br) since its creation in 1995 and has served as administrative contact for the ccTLD .br since 1989. He played a critical role in the definition of the Brazilian Domain Name System tree and in defining the rules that govern the Brazilian registry. From 1972 through 1986, Getschko held a variety of positions at the University of São Paulo, from student to faculty and IT professional. He was the manager of the Fapesp Data Center, a state foundation that played a central role in Brazilian academic networking, from 1986 through 1996. He then left Fapesp to become technology director at Agencia Estado, an arm of a major Brazilian newspaper, where he was involved in strategic planning, focusing on the technological evolution affecting the information industry in light of the Internet. In 2000 and 2001 he served iG (Internet Group), a free Internet provider in Brazil, as Chief Technology Officer and Vice-President of Technology. Getschko was selected for the ICANN Board by the Country Code Names Supporting Organization (ccNSO) in 2005. In 2007 he was reelected and served until June 2009. He holds BSc, MSc and PhD degrees in Electronic Engineering from the University of São Paulo, Brazil. 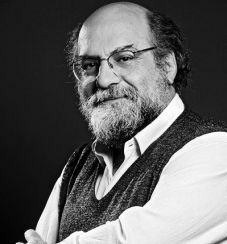 Currently he is Associate Professor in Computing Architecture at Pontifícia Universidade Católica de São Paulo. He is also a Board Member of CGI.br and CEO of the Brazilian Network Information Center (NIC.br).